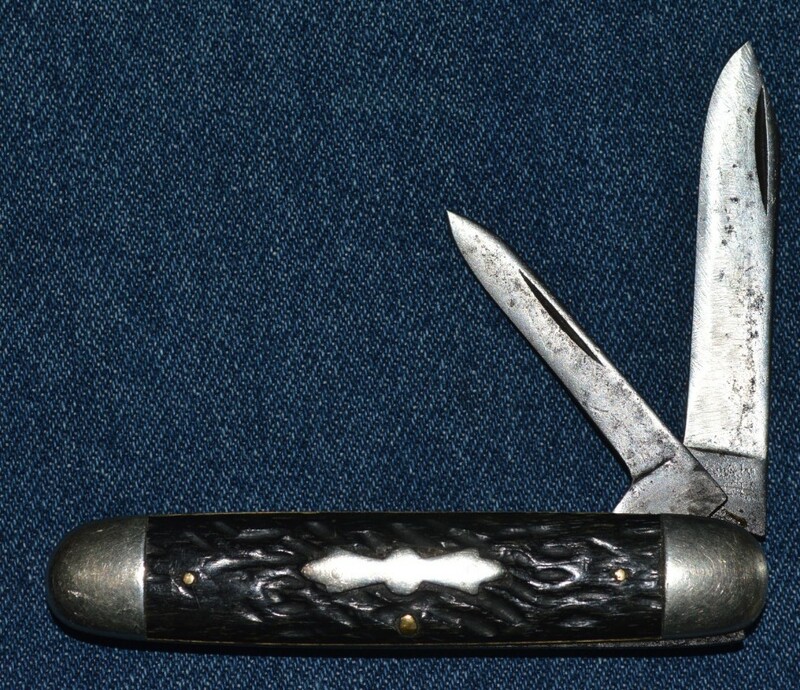 3 ¼” Equal End Jack made by Queen in the late 20's early 30's. 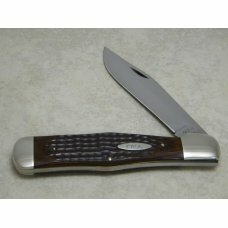 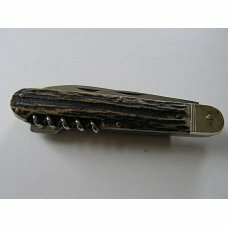 Has black or very dark brown bone handles. 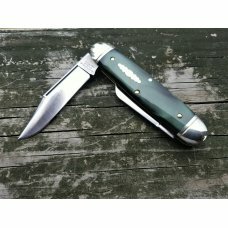 Blades have wear as you can see in the pics but snap is very good. Pen blade falls a bit deep into the well and is a bit difficult to open without first opening the main blade. 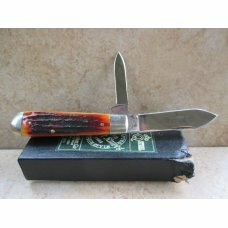 Still a nice honest old knife (HOK) that would make a good EDC or one for your collection. 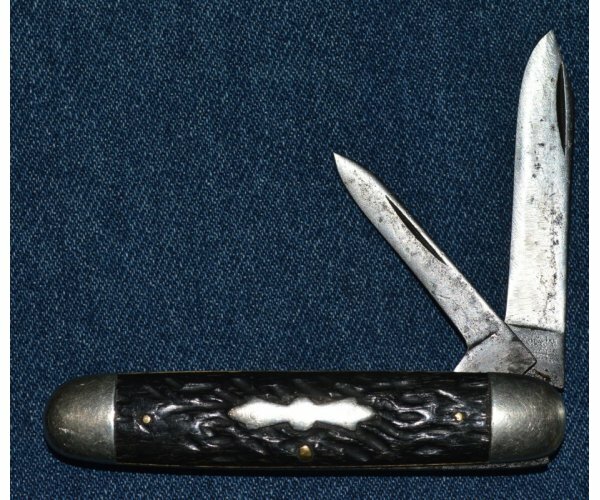 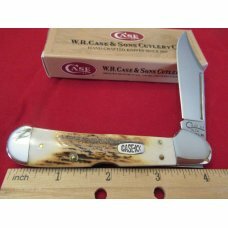 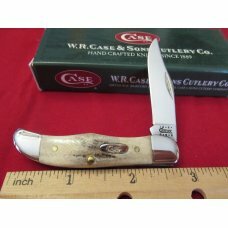 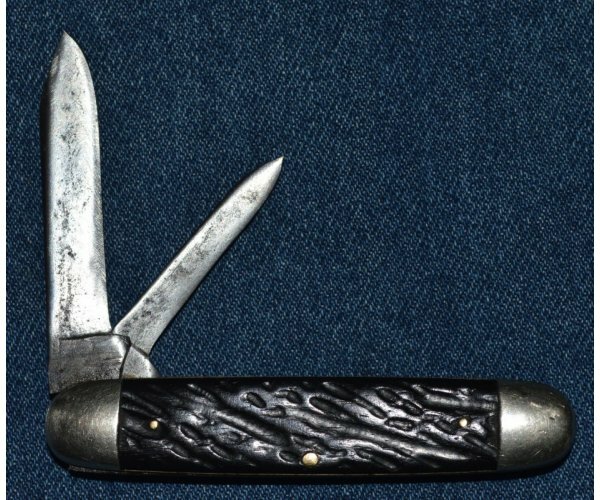 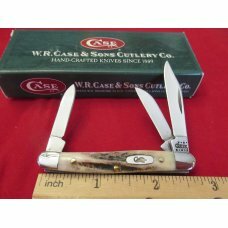 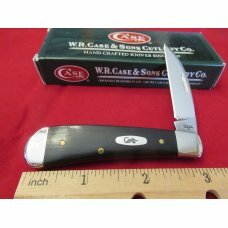 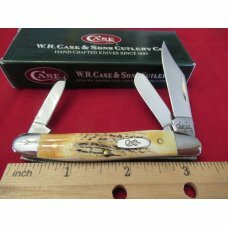 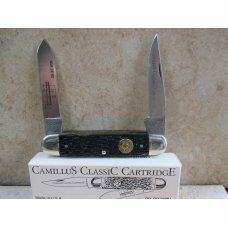 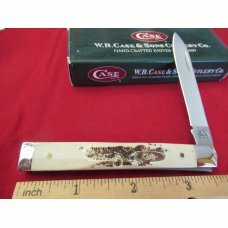 Older Queen City knives are getting harder to find at a fair price.